I have a Cube 3D printer sitting on my desk and have been having fun with it. For those of you who don’t have a Cube, or any other 3D printer for that matter, you can get your designs 3D printed and shipped to your doorstep by a 3D printing service like Cubify’s Cloud 3D Print service. As the person responsible for the development of the Cubify platform I decided to eat our own dog food and try out Cubify’s Cloud 3D Printing for myself. A while ago I had modeled a Piston Cup in KOMPAS-3D V11. I added the STL file as a creation to my account on Cubify. 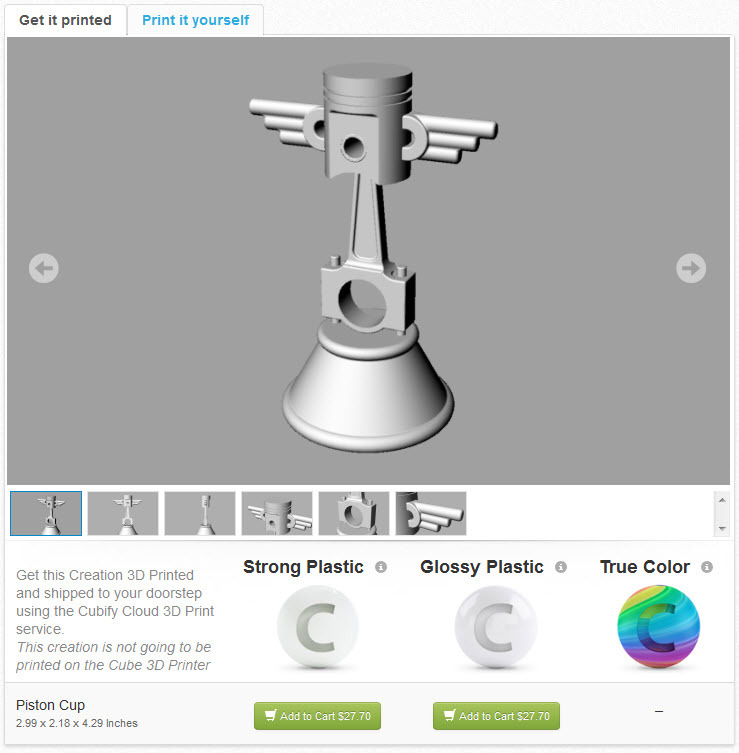 A week ago I placed an order for my a cloud 3D print of my Piston Cup. Today I got this in the mail.